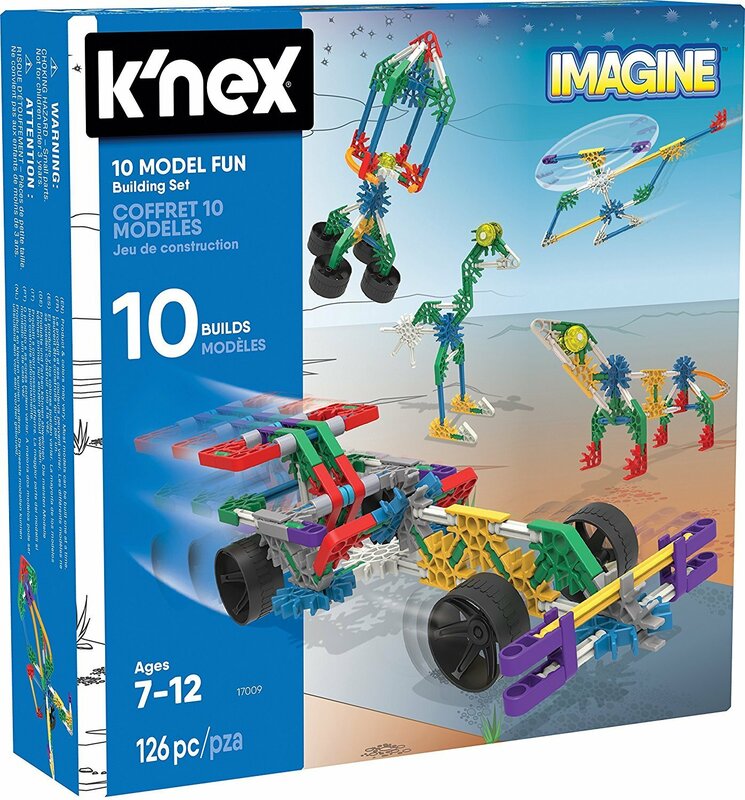 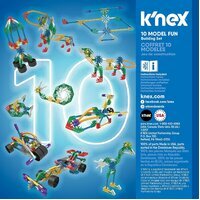 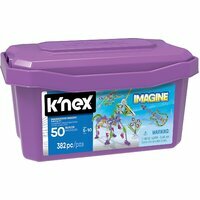 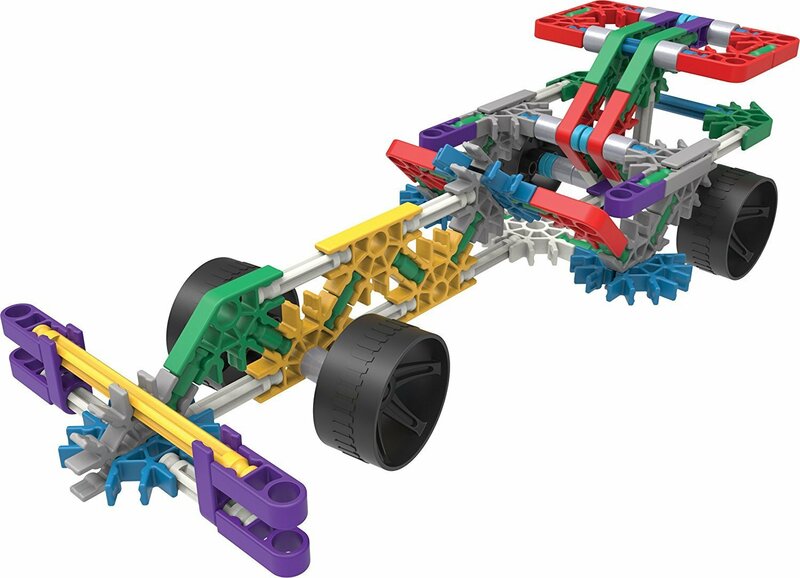 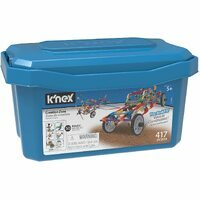 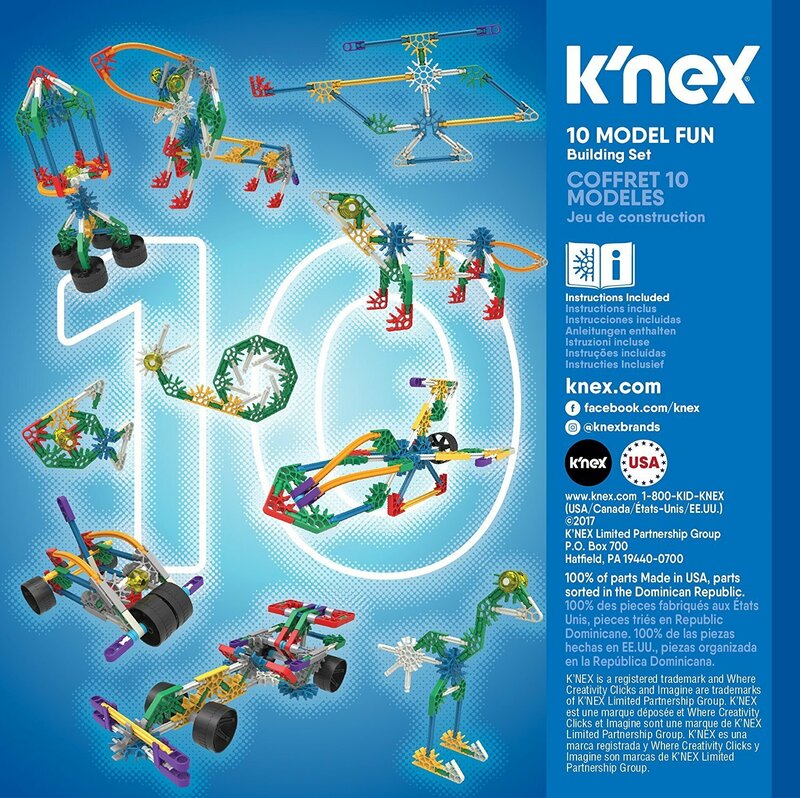 The KNEX 10 Model Building Fun Set contains 126 classic parts and pieces that feature vibrant colours and premium-quality construction. 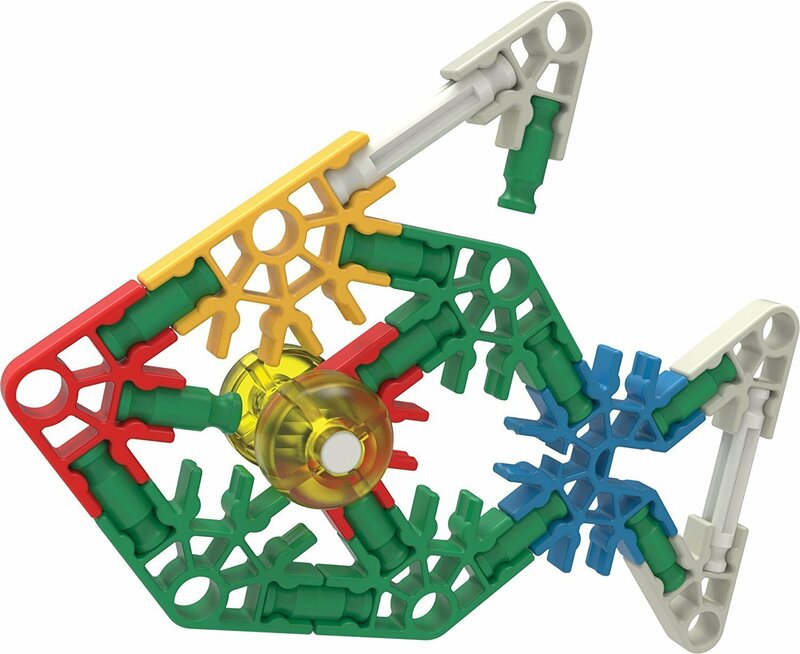 The package includes rods and connectors. 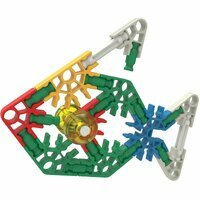 These parts can snap together to create rounded and cornered shapes. 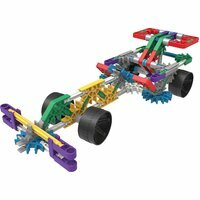 Pieces can be mixed and matched to turn whatever a child imagines into a true-to-life creation. 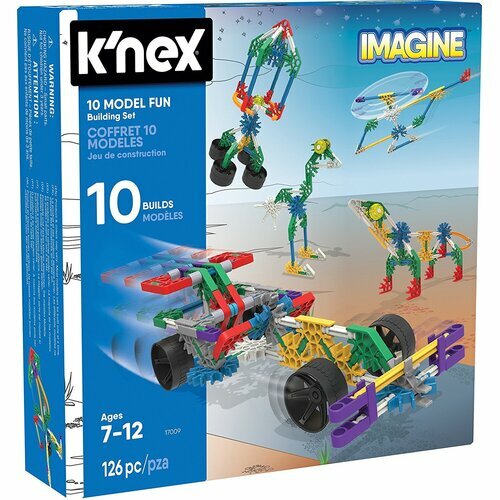 Let your children enjoy creating 10 different model ideas with this colorful set. 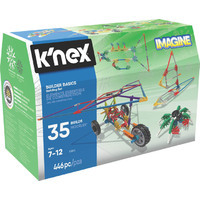 Parts can be used to make a moon buggy, an ostrich, a spaceship, a lizard, a helicopter and more!